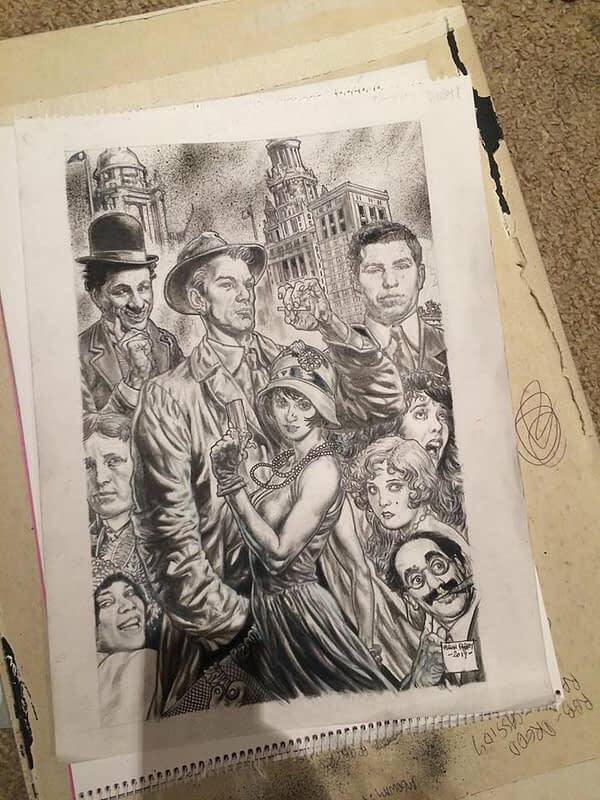 Rotgut by Glenn Fabry and Mike Baron - a New Possible Comic From Someone? Home » Comics » Rotgut by Glenn Fabry and Mike Baron – a New Possible Comic From Someone? 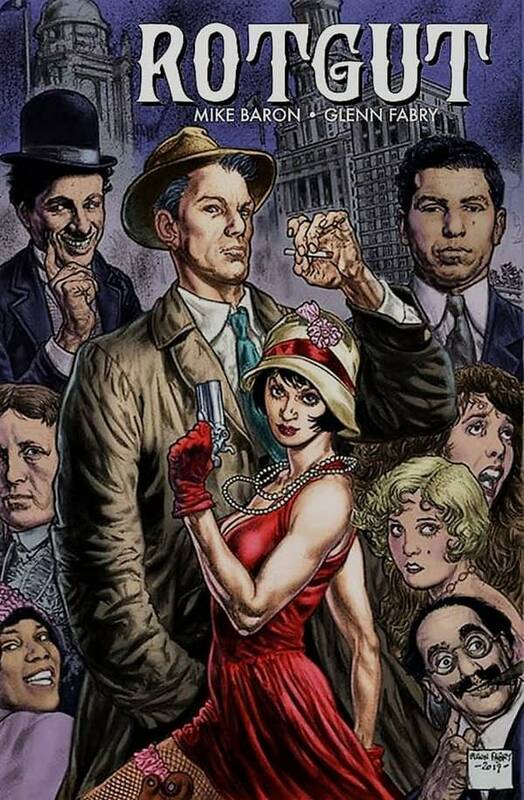 Rotgut by Glenn Fabry and Mike Baron – a New Possible Comic From Someone? 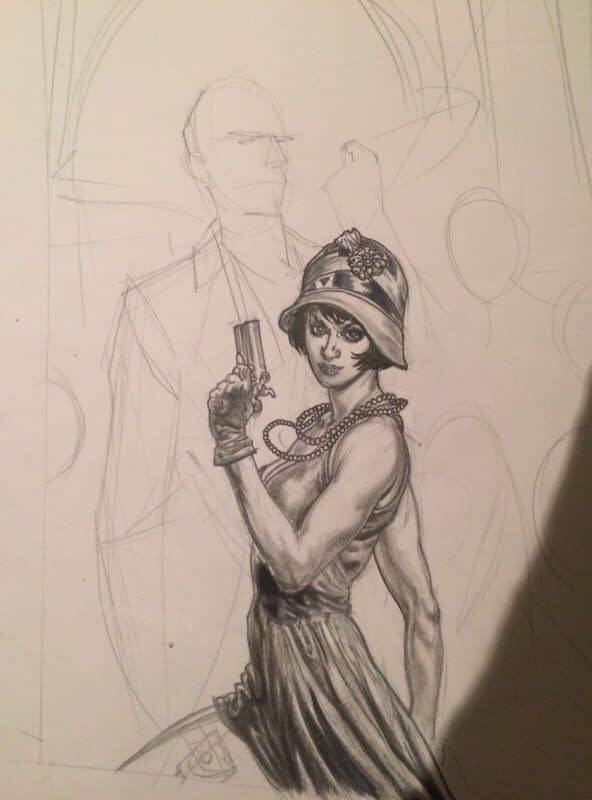 Both Mike Baron and Glenn Fabry have been showing snippets of something called Rotgut off. Fabry calls it ‘film noir with real historical figures’. Mike Baron is a veteran American comic book writer, the creator of Badger and co-creator of Nexus, he’s been published in comics for almost forty years. He relaunched the Flash in 1987, co-created Microchip in The Punisher and had written Batman, Deadman, Star Wars comics as well as becoming a notable novelist with the Josh Pratt novels. Glenn Fabry has been drawing comics almost as long as Baron has been writing them, beginning major publication with Slaine for 2000 AD, as well as painted comics for Crisis, Revolver and Deadline. 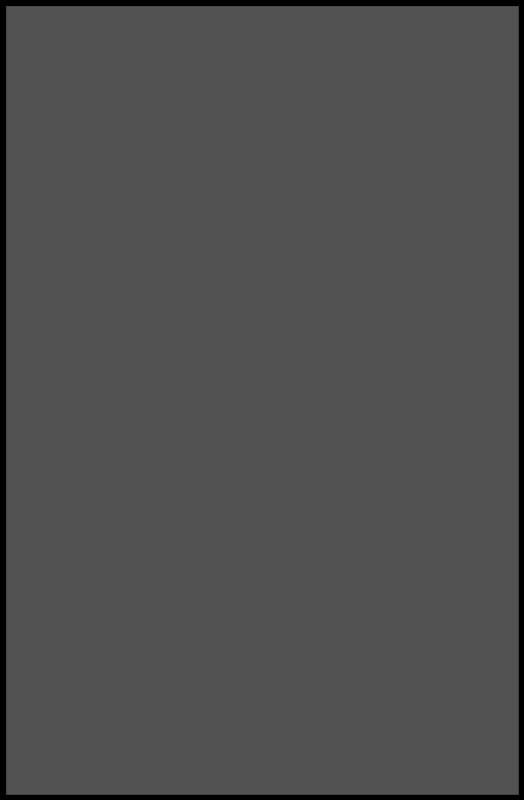 He painted a lot of covers for Garth Ennis‘ work, starting with Hellblazer, before doing the same for Preacher, and drawing Ennis-written comics for The Authority and Thor. He also drew a Neil Gaiman story in Sandman: Endless Nights, the comics adaptation of Gaiman’s TV series Neverwhere. Recently he was diagnosed with lung cancer – but was later re-diagnosed as suffering from tuberculosis instead, from which he is now in remission – possibly the greatest diagnosis of TB ever.